Because laws are always changing, you should develop an ongoing relationship with your estate planning attorney and be proactive about having your plan reviewed on an annual basis. Without periodic reviews, sometimes these changes in the law can render your existing estate plan obsolete. We had some notable changes at the beginning of 2013 after the passage of the American Taxpayer Relief Act of 2012. One of them was an increase in the maximum rate of the federal estate tax from the 35% rate in 2011 and 2012 up to 40%. The estate tax exclusion was adjusted for inflation, and it now stands at $5.25 million; it was $5.12 million last year. One of the questions as the new year approached was whether or not the estate tax exclusion would remain portable. Portability is the ability of a surviving spouse to use the exclusion that his or her deceased spouse was allotted and did not use. Under the new law, the estate tax exclusion is still portable; but you must take action to benefit from this portability. 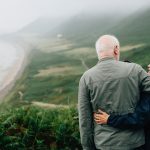 If your spouse were to pass away first, the individual handling the administration of the estate would have to file Internal Revenue Service Form 706 within nine months of your spouse’s death to opt in to estate tax exclusion portability. A six-month extension may be granted if extra time is needed.